These photographs were taken at Zinc Bar on Thursday August 5, 1999. 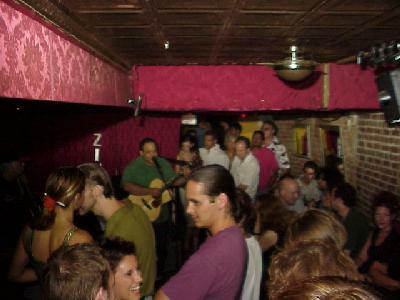 Zinc Bar is located at on Houston Street and La Guardia Place in New York City. Juan Carlos Formell has played at Zinc Bar since his arrival in the USA years ago.